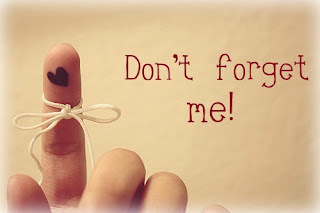 The end of the school year is bittersweet to me. I am really ready for summer because I can't wait to spend every day with the twins. 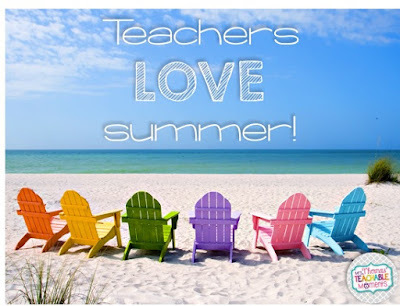 When I was young, I didn't realize that teachers look forward to summer break as much (or more) as the students do! However, I have grown so attached to my class this year. I know every teacher says that, but I really mean it! This has been the sweetest group of kids. I have so many wonderful memories of each and every one of them, and I hope they keep me in mind next year for soccer, football and baseball games, for future graduations, and just to pop in and say hello every once in a while. 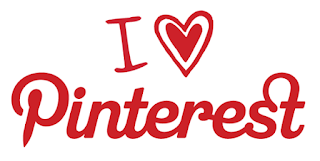 I wanted to get each of my kids this year a little something, so naturally, I turned to my good friend, Pinterest. She often inspires me and gets my wheels turning. 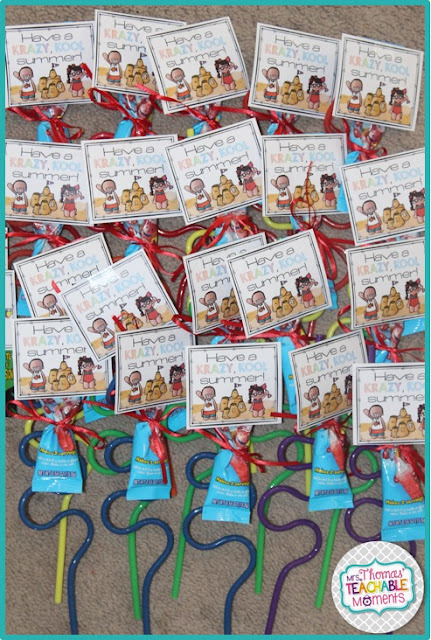 So without further ado, here is what I put together for the 20 kids I love so much! Then, I made these cute little tags to go with each of the items. 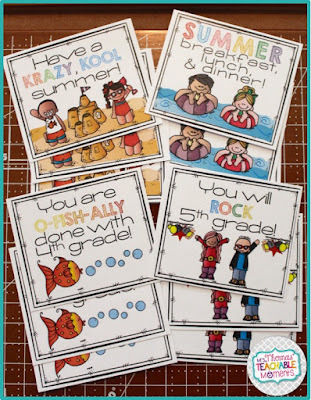 You can pick these tags up for free in my store by clicking here or the picture below. They are about 2" x 2". Then, I wrote their names and my name on each of the cups. I know some of you lucky ducks out there have Cricuts, but I don't...so instead of a cute, vinyl, dishwasher-safe sticker, my kids get a hand-written name filled with love. BUT - if I DID have access to cute, vinyl, dishwasher-safe stickers, I would've made their initials and put them on. I tied the individual packet of Kool-Aid to the crazy straws and attached the tag. 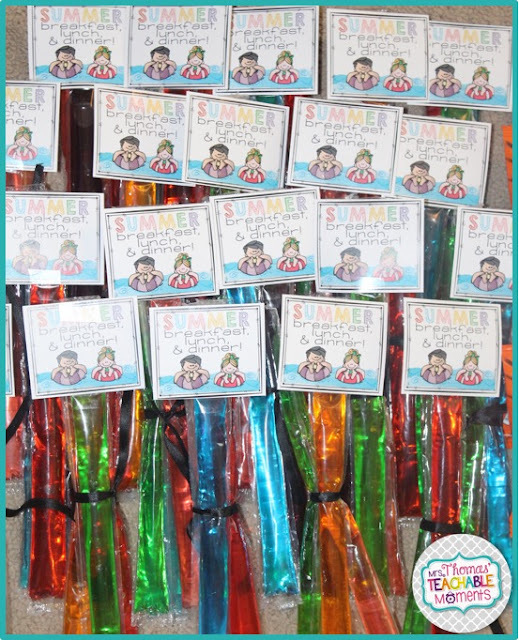 It says, "Have a Krazy-Kool summer! 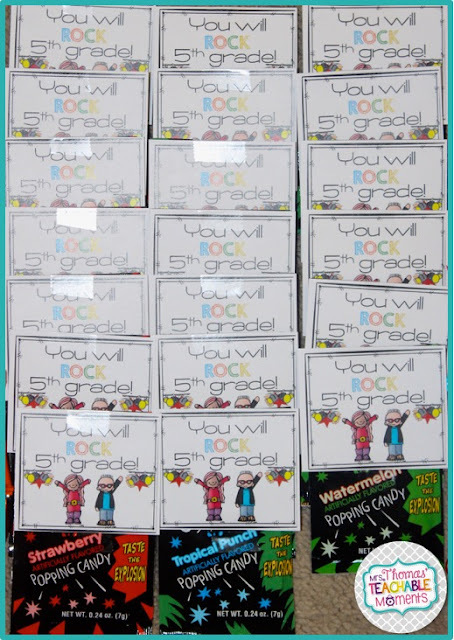 The Pop Rocks say, "You will ROCK 5th Grade!" (I have also made versions of other grades and included them in the FREEBIE). 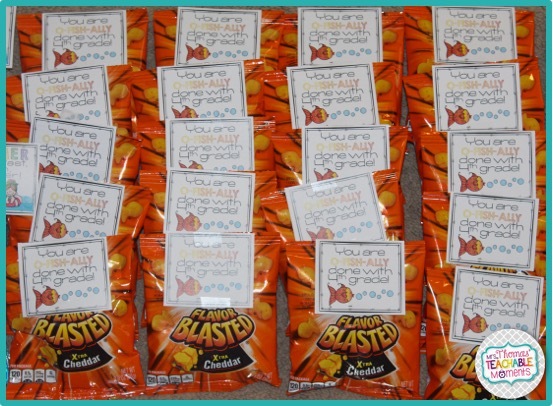 The Gold Fish say, "You are o-fish-all done with 4th grade!" (I have also made versions of other grades and included them in the FREEBIE). 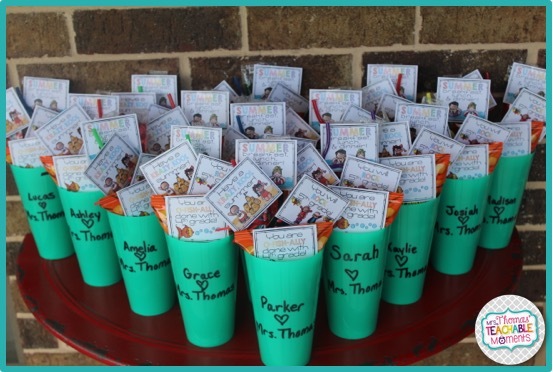 I chose colors at random and tied three Pop-Ices together for each student. The tag says, "Summer breakfast, lunch, and dinner!" I thought that was pretty funny - like that's all kids eat in the summer! Last, I taped each little tag onto everything, and arranged them in the cups. Voila! 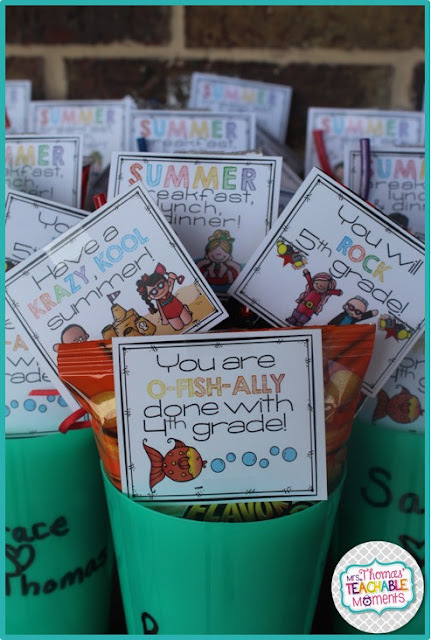 End of school year student gifts for my kids! Enjoy your summer! 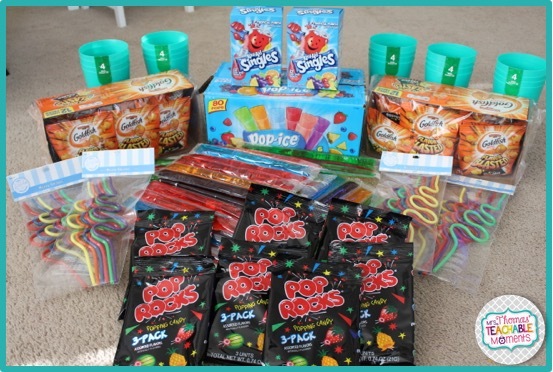 Comment below with what you like to do for your End of School Year Student Gifts! Hey! Such a great article and I like your style of writing. I like writing and I used to have a blog with my own soul mates. Now, I have no time. You know, not the end of the year :) Still, sometimes when I want to write some notes, I more likely look for top British essay writers than neglect my wishes! i hope you will keep on writing and will never have problems with college papers. Otherwise, you should consider a help of college essay writers! This is a very cool list of ideas for gifts, I think that every student would be happy with such a gift, after a hard year of studying at the university. For me, perhaps the best gift would be a reduction in the number of essays that I must write every year. I even often started using this service https://paidpaper.net/buy-essays/ cuz I dont have enough time for that. I think your students are very happy that they have such a beautiful teacher.I have a nephew who study at school too, and at the end of the every year I give him a little gift. 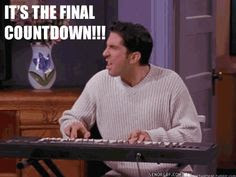 But for me the best present is opportunity to use this service https://academic-consultants.com/coursework-writing/ cuz sometimes I really dont have time for such kind of work. 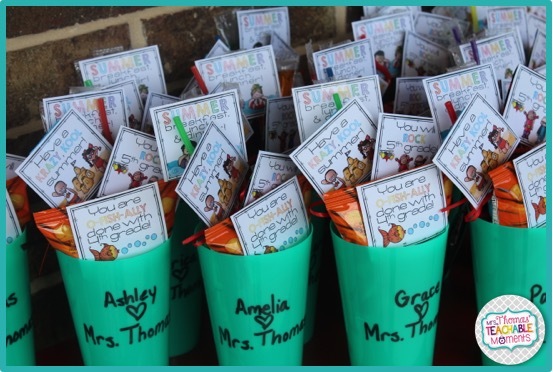 Final May Currently/Teacher Appreciation Sale!